No motion capture data was harmed in the making of that video. 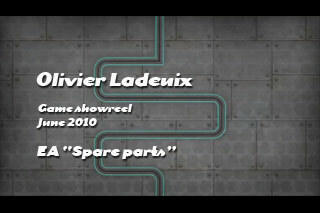 The teaser for the game I am currently working on at EA Brightlight is finally online. You can even find a HD version on Gametrailers! This game and the team I am working with are awesome. I have only been in the game industry for few years but making a downloadable XBLA/PSN game is probably the closest thing to what it was back in the mid 80s/90s. Unlike the 70 and upward teams most games require nowadays, in a project of that size, every team member can truly participate to the direction of the game. All the character animation has been done by Neil, my lead animator, and myself. E3 2010 just finished. 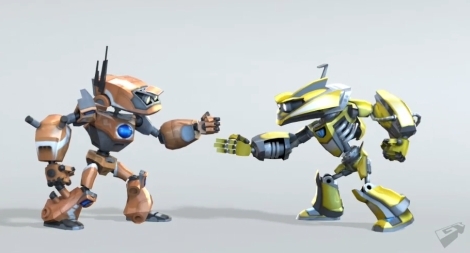 Microsoft stole the show with the announcement of Kinect, the newly renamed Natal system, and a slim version of the Xbox but for the time being, my 2010 favourite games are pretty much all for the WII. Could companies bring more cartoony games to next gen consoles?! Here are this year’s announcement. Donkey Kong Country returns. Donkey Kong country is the reason I decided to work in games and join Rare. I fulfilled part of my dream and managed to work on Banjo Kazooie but I still have to work on Donkey Kong country. Well looks like it could happen! Rayman origins. 2d!!!!! Love it!!!! KMPlayer, best video player ever! Update May 08 2013/ I just installed version 3.6.0.87 and I am delighted to say that H264 files now loop but there is a big issue for us animators….. The audio feedback doesn’t work anymore when step framing! Right let’s see if I have an older version on my hard drive. If you don’t know about KMPlayer, you probably think that VLC IS the best player ever. Very wrong! VLC is alright, but KMPlayer is much better, especially if you happen to be an animator. – Opens and play XVID/Divx footage frame by frame, forward and backward …. with sound feedback. Except Premiere, do you know any player that does that? This function alone makes it perfectly suited for troubleshooting lipsync. – Hotkeys that make sense! Space bar to toggle the playback, 1 to play in half size, 2 original and 3 double size. – You can loads as many videos as you want and have them all playing. Great to pretend you are the master of the univers. Some time ago, my friend Annes sent me a link to a different Life Drawing class that I would possibly enjoy more than the one I am currently attending and everything finally made sense. I think “academic observation” is very valuable when drawing from the model but as Glenn Villpu implies it in his theory and instructional material. This is just, one tool! How long is it going to take you to finally be able to work as an animator, illustrator, storyboard artist and draw from imagination then? Years and years and years and years! Why not instead, add more tools to your toolset. Why no try to understand the underlying structure of the figure? 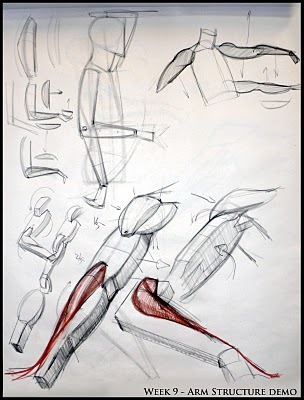 What about learning proportions and the different parts of the skeleton but also the few muscles that shape the surface of the skin? How to represent the figure in simple geometric shapes? What about learning … the Structure! The big problem with the “Academic observation” approach is that you only discover the elements of the structure through experiencing them, this can take a very long time. It is what I would call “brute force life drawing” teaching. But there is a smarter way! K. Anders Ericsson, Ralf Th. Krampe, and Clemens Tesch-Romer published a great paper a while ago, about “the Role of deliberate Practice in the Acquisition of Expert Performance”. The paper is a bit dry so you would be forgiven to skip to something a bit more approachable and that great article from CNN called “The secret of greatness”. What those articles try to demonstrate is the importance of having a plan when learning and focus your practice on specific areas. This is what they call “Deliberate practice“. “Brute force” learning is great but it is definitely not the deliberate practice sort of approach. Where can we learn about structure? well Glenn Villpu is the obvious start, then all the AWESOME blogs, Dreamworks storyboard artist and life drawing teacher, Rad Sechrist, is part of! Reading those blogs and learning what is on display should help you improve tenfolds! http://gallica.bnf.fr/ark:/12148/bpt6k205846w.planchecontact.r=richer.f145.langEN where he shows the relationship of the head height to the rest of the body. 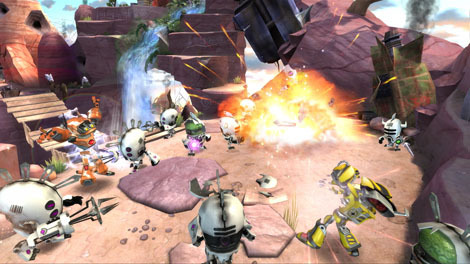 EA just announced what appears to be a very fun XBLA, PSN game! Would a video be following very soon? The animation business is full of experts. Film critics, animators and buddying film makers, everybody seems to know the secret to success and still they can’t explain the failure of Sony to break the $300 million mark or the poor box office performance of Hayao Miyazaki’s features and other 2d movies. Isn’t this shocking? “Triplets of Belleville” was nominated for 2 oscars and didn’t even recover its costs! “Spirited away” was an Academy award winner and hardly broke even. Some people would argue that those two movies didn’t have any marketing. I might agree for “Spirited away” but that still doesn’t explain the poor performance of Sony’s animated feature. Don’t you think that the studio who made the Spiderman movies knows a thing or two about marketing? Story is very important but many more factors come into effect to explain how well a movie will do. 6 – Forget about the story! Personally when a Pixar movie comes out, I don’t even need to watch the trailer or hear what the critics will say, I immediately book my ticket and buy the Bluray movie as soon as it is available. Why? Because of the production values. I can trust Pixar to deliver everything I enjoy when watching an animated feature. Imagine a movie about Surfing Penguins (Surfs Up) coming out 6 month after some Dancing Penguins (Happy feet)? What about a story about Rats and Mice (Tale of Despereaux), one year after Ratatouille? This is a recipe for failure. 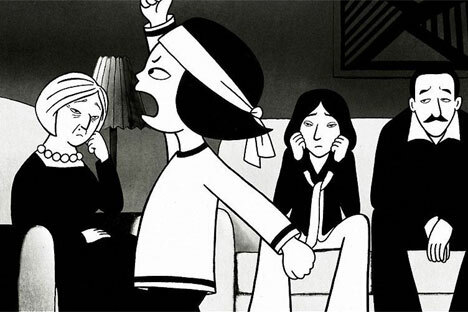 No matter how much money you are going to poor into the marketing of that subtitled black and white franco/iranian arty animated feature, Persepolis is a “niche” movie that will never attract the masses. Why do you think studio feel the need to tell you that this new movie is from the creators of “Finding Nemo”, “Shrek”, “Ice Age”? Ask your uncle, niece, someone around you not related to the animation industry, they will immediately recognize those names and be more inclined to see that newly advertised movie than the one from that unknown spanish studio, well, provided that unknown animation studio is actually named. 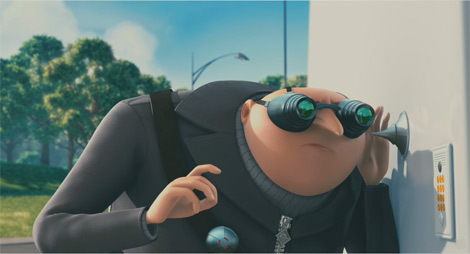 I still haven’t seen a mention of Mac Guff or Illion studio on the trailers of “Despicable Me” or “Planet 51”. How well do you think a movie from an unknown foreign studio will do if it comes out at the same time as a production from Dreamworks or Pixar? Planet 51 and Astroboy came out at the same time as Dreamworks “How to train your dragon” and both studios went bust or are about to. Family have a limited budget for entertainment and with Disney/Pixar and Dreamworks aiming at 2 releases per year, this doesn’t leave much room for challengers. I won’t dwell onto that one, I am still angry to have paid close to £20 to see this at the Imax. “Avatar” had the thinnest story plot ever, the most blandest characters and still fared way better at the box office than any more intricate stories. And here is what I was getting at. Strong intellectual properties (IP). You thought people were fed up with Shrek? Well I have some news for you, with the release of Shrek 4 this month, Dreamworks has once again scored a home run. Shrek 4 just came out 3 weeks ago and already scored $254,055,338 worldwide….. $254,055,338 is pretty much what “Princess and the frog” did in its entire release and if I remember correctly, this is exactly what “Avatar” did in the same amount of time before climbing above $2 billions! Don’t you think Dreamworks should start working on Shrek 5 now? So far, Shrek has generated close to $3 billions, isn’t that a strong IP? No wonder, Dreamworks treats its employees so well. 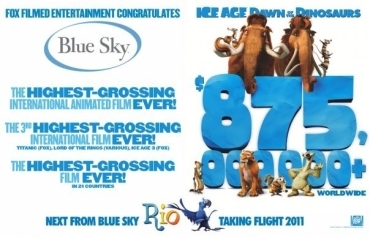 What about Ice Age 3, any idea how much money Universal/Blue Sky made? $884,784,626. Well now that Pixar is not bound to a similar Co-Production agreement they signed with Disney in 1997 what would stop them and why do you think they are now in a hurry to release Toy Story 3, Cars 2, Monsters Inc2? This has nothing to do with the fact that Disney bought them but more to do with my secret of animation success, the magic of IP. Until a european studio can find the money to fund not only a first movie but also its sequel, they will be bound to failure. I don’t think I ever posted about this. I am not a fan of mocap at all and never watched “Happy feet” but Animal Logic is doing an amazing work on that new feature “Legends of the Guardians”. Just for the cinematography and because owls are the coolest birds ever I am definitely going to see that movie and even buy the Bluray disc! Some time ago, I found a Czech teaser for a gorgeous and whimsical movie mixing live action and puppetry, and was blown away by the visual experience. Unfortunately everything was in Czech so I couldn’t understand what this was about until they finally added some english subtitles and created a website. When asthmatic, six-year-old ONDRA is forced to throw away his scruffy, sawdust-stuffed old teddy bear, KOOKY, he prays for the safe return of his furry friend. Soon afterwards, across town, Kooky is about to be crushed in a rubbish dump when he suddenly comes to life, making his escape into a mysterious forest. The naïve, cuddly Kooky needs help to survive amongst the rough-and-ready creatures of the forest and he finds it when he meets the crotchety forest guardian HERGOT. Hergot is in charge of watching over the forest, but he has his enemies too – the malevolent NIGHTSHADE plans to take over the forest, by proving that the short-sighted but good-hearted Hergot is not up to the job of guardian. There is a new trailer but I prefer the previous one. It is just a bit more mysterious and quirky and the editing is also a bit funnier without revealing too much. If you love Tim Burton and Jim Henson, this movie is for you! They have a Youtube channel where you will find 3 “Behind the scenes” videos showing how they made the movie. All the videos are in HD but in Czech unfortunately. 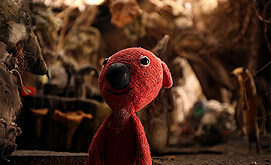 ahhhhhh and maybe it is time to also post that also great Czech stop motion TV series “Pat a Mat”. Great funny animation, I should post about them very soon. Here is what some of my coworkers are busy making. Looking pretty sweet to me!